Yantras are an instrument of geometrical design used in meditation and worship as a way of connecting oneself with energy of the Divine. They are a symbolic representation of a deity or cosmic force, each having their own unique configuration. The deities' energy was revealed to realized sages in their deepest meditations in the form of shapes and symbols. The yantra, then, is a way of connecting and honouring theses divine forces without the use of real-life images. Yantras are similar to the Buddhist mandalas in that they are both diagrams of the cosmos that lead one inward into union with the Supreme. A yantra, however, has Hindu and Tantric origins and is said to hold the energy of a particular deity. 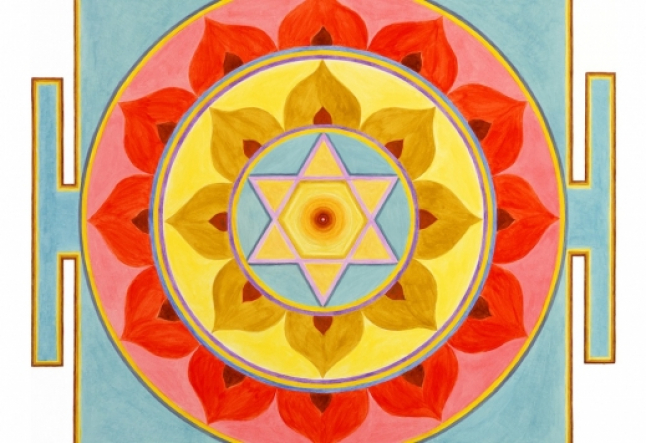 The word yantra comes from the Sanskrit 'yam' meaning to support and 'trana' meaning liberation. 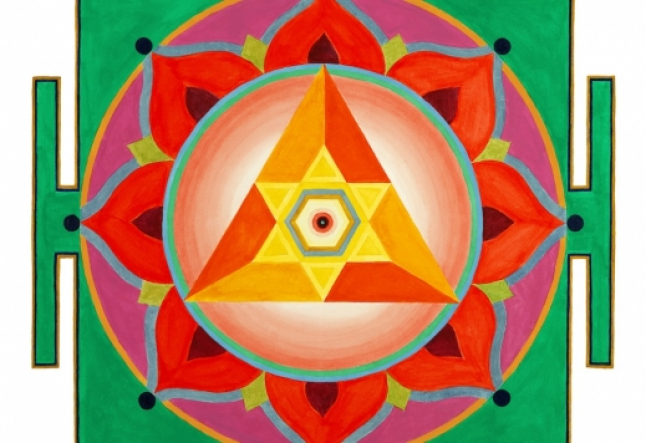 The yantra is a tool that supports liberation of the mind. 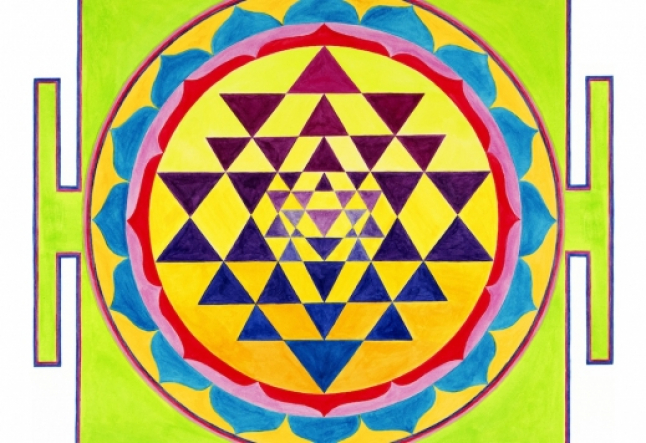 One does not need to be of any particular religion to enjoy and use a yantra, and of course, yantras can simply be admired for the colour and energy they emit. One can hang them in their home, workplace, or yoga studio as a piece of art or to imbue a space with vibrancy and positive energy. There are different ways yantras can be used. They can become part of your sadhana (personal spiritual practice) allowing you to connect with their energy on a deeper level. One way to do this is through mantra recitation. It is said that when yantra and mantra are combined their power is heightened. By placing a yantra in the area where you meditate, or practice yoga, you help make this area a sacred place. Yantras can be used to focus and calm the mind during meditation. As stated by Patanjali, the originator of the classical yoga system, "Concentration may be attained by fixing the mind upon any divine form or symbol that appeals to one as good."